He needn’t have worried. “POV” shows us an artist who is continually challenging himself, venturing into unfamiliar territory while his vision keeps maturing. Case in point: the prominent position the exhibition gives to Andrews’ paintings, a medium the artist didn’t touch until his 50th birthday. As a child of the 1960s fascinated by mass media, Andrews’ work is inseparable from the tumultuous times in which he’s lived. 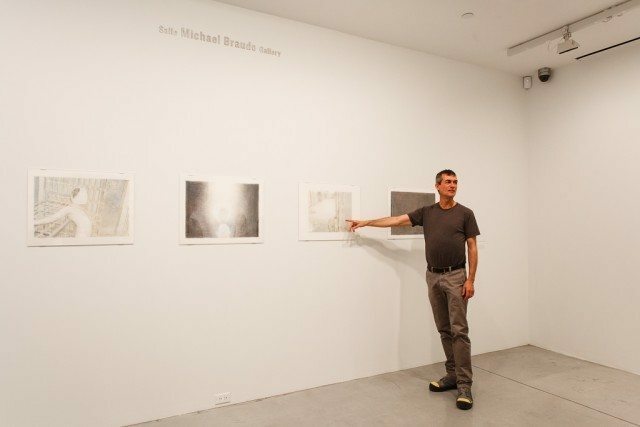 Abu Ghraib, 9/11, and the lingering echo of the AIDS crisis are all explored in the exhibition, which focuses on the last 15 years of his career. 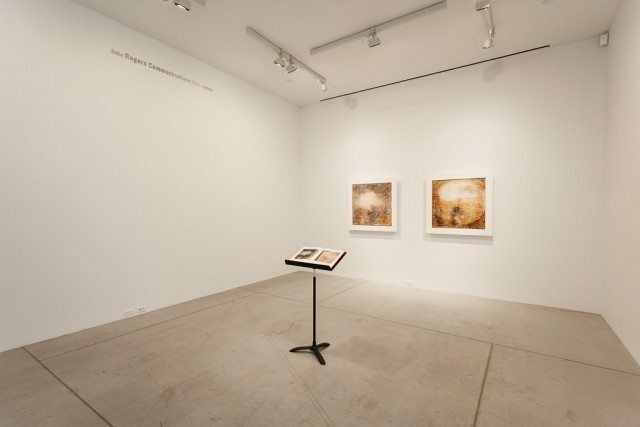 Andrews’ role as an unreliable narrator is immediately apparent, even though many of his pieces are based upon historical photographs and documentary footage. His impressionistic, quasi-pointillist paintings highlight the influence of the artist’s hand in the finished product. It’s a fascinating conceit—we as viewers are reliving history through the eyes of another, struggling to locate where authenticity lies among our shared subjectivity. This challenge to the viewer extends to the larger works, where his dense colour swaths form a reflection of those who look upon them. It’s a strange position to be in; not immediately understanding the significance of what you’re looking at, all the while you observe yourself right in the heart of it. But it’s fitting, since Andrews admits he’s most interested in what he calls the “armchair experience”—the distant, mediated way in which we access current events in contemporary society. Likewise, Andrews’ recreations of famous Iraq war photographs have only become more powerful with time. 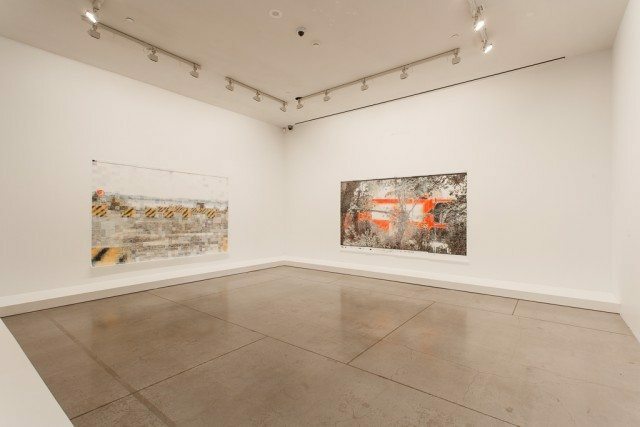 The pieces were originally created during the conflict, when the American government placed an embargo on images that detailed so-called “collateral damage.” “So I went looking for them on the internet,” explains Andrews, “when the only access was through soldiers’ blogs, alternative news sites, and conspiracy blogs. I curated the images into a syntax that I hoped would make some sense out of this chaos.” At the time of their creation, they must have been a stirring call to action; now, they’re a throwback to a foggy memory. Photography may have been the medium upon which Andrews built his name, but it almost comes as a shock to see photos integrated into the exhibit. 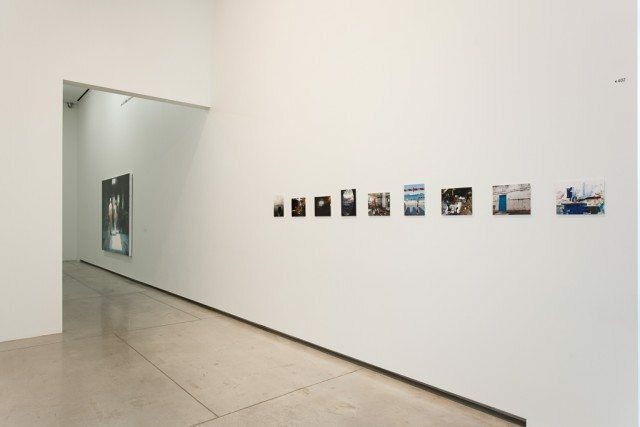 A documentation of a recent around-the-world boat trip he embarked upon, they read more as biographical supplement than proper additions to the exhibition. Metaphorically, it could work—speaking to the progression of a life lived and the blurred boundaries between cultural experiences in a globalized world. But due to their small scale, and the fact that they’re relegated solely to hallways, they feel more like afterthoughts than stand-alone works of art. And devoid of any historical or cultural touchstones, or even human faces, this is the first instance in “POV” where Andrews’ subjective experience isn’t made accessible to the viewer in any real way. Andrews’ career is a bit of an anomaly. Here’s a conceptual artist who details the darkest moments in our recent history. And it’s same artist who’s been commissioned to do it by the Trump Towers. 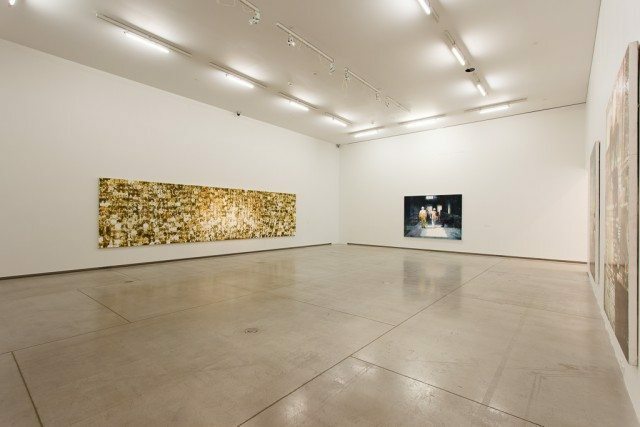 His work exists in that powerful middle ground: it’s aesthetically beautiful, but it still offers up a wealth of interpretations and imaginative experiences for the viewer. Well, depending on your point of view. 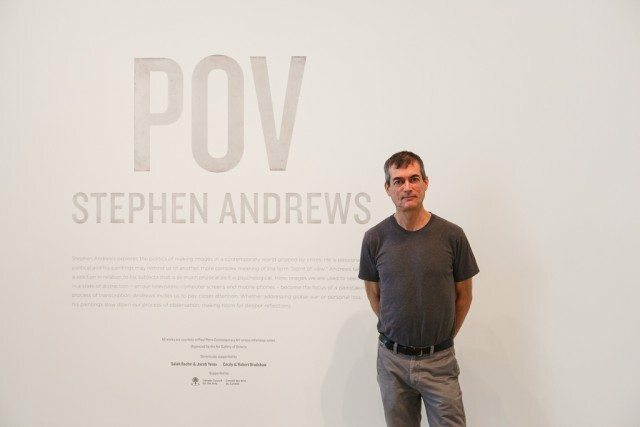 Stephen Andrews’ “POV” starts today at the AGO, and runs until August 30.